There's no such thing as a free ride, the saying goes. That may be true. Unless you're in South Beach and you need to get somewhere. Home, the beach, the grocery store, wherever. 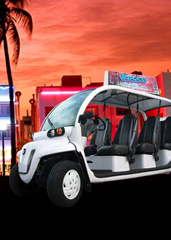 Because from now on, you'll be able to call on Swoop Miami, your new gratis taxi service, now ready to drive you around South Beach. Think of Swoop as your new full-time limo driver (who just happens to operate out of a six-passenger electric golf cart) for all of your short-distance travels. You'll be able to use it all over South Beach—from First to 23rd Street, and Ocean Drive to the Bay—from noon to 2am every day. 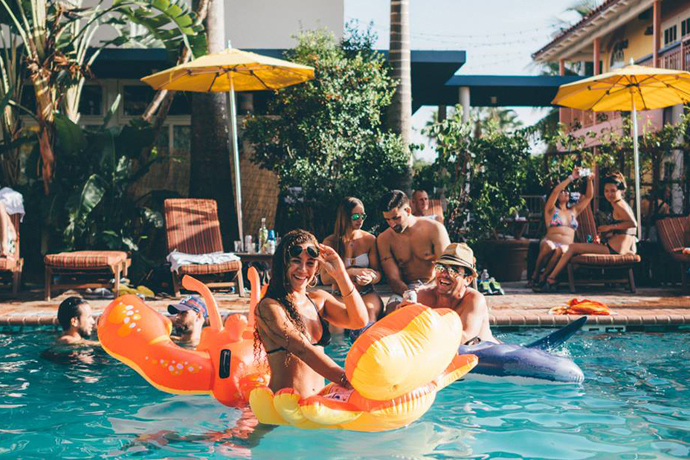 So the next time you and your friends need to get from a party at the beach to a concert at the Fillmore—or from a concert at the Fillmore to a party at the beach—you'll just call or text the guys at Swoop, and within 15 minutes they'll pick you up and drive you to your next place of mischief. You can tip the driver if you want (they also get help from advertising). And don't be surprised if you're sharing a ride with a couple of other passengers—e.g., comely spring-breakers, damsels in post-club distress or bikini-clad beach bums. Which are the best kind of beach bums.